VANCOUVER, BC (October 17, 2018) – VGH & UBC Hospital Foundation today announced that the tickets for the Millionaire Oceanview Home Lottery (Millionaire Lottery) are now on sale. The Millionaire Lottery supports the VGH & UBC Hospital Foundation and money raised goes to funding innovative research, advancing specialized adult health care, and purchasing critical medical equipment at Vancouver General Hospital, UBC Hospital, GF Strong Rehabilitation Centre, Vancouver Community Health Services and Vancouver Coastal Health Research Institute. The grand prize winner of the lottery can choose one of seven luxury homes located in Tsawwassen, South Surrey, White Rock/Sooke (two-home package), Sydney, Downtown Kelowna, West Kelowna, and Vancouver. The winner also has the option of accepting $2.7 million in tax-free cash instead of taking the prize home. Millionaire Lottery tickets are 2 for $100, 5 for $175, 10 or $250 and 25 for $500. 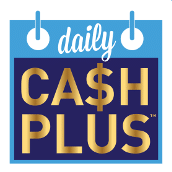 The lottery also includes extra games: the 50/50 PLUS lottery with a maximum prize payout up to $1,548,000 (depending on the number of tickets sold), and the Daily Cash PLUS game returns with 105 days of winning, with a value of all prizes being $300,000. This home in Tsawwassen is one of the biggest homes you can win this year – and it comes in a Grand Prize package worth over $3.1 million! See the Photo Gallery and Virtual Tour right here. To date, the Millionaire Lottery has raised over $50 million for VGH & UBC Hospital Foundation. Ticket sales for the Millionaire Lottery run until midnight, January 11, 2019. Individuals can purchase their tickets on-line at www.millionairelottery.com, by phone, 604-602-5848, or 1-888-445-5825, or in-person at any London Drugs. VGH & UBC Hospital Foundation is Vancouver Coastal Health’s primary philanthropic partner, raising funds for specialized adult health services and research for all British Columbians. VGH & UBC Hospital Foundation partner with donors to drive innovation and sustainable health care at Vancouver General Hospital, UBC Hospital, GF Strong Rehab Centre, Vancouver Coastal Health Research Institute and Vancouver Community Health Services. For more information on the VGH & UBC Hospital Foundation visit www.vghfoundation.ca. It’s fun to win – and the cause is vital. This is your hospital. The Millionaire Oceanview Home Lottery, in support of the VGH & UBC Hospital Foundation, has been in operation since 1996. When Millionaire Lottery tickets are purchased, money raised goes to research and urgently needed medical equipment at Vancouver General Hospital, UBC Hospital, GF Strong Rehabilitation Centre, Vancouver Community Health Services and Vancouver Coastal Health Research Institute. Every year, VGH performs more than 30,000 surgeries and there are more than 600,000 patient visits to the hospital. VGH treats 60 per cent of British Columbia’s adult trauma cases, and 50 per cent of their surgical patients are from outside Vancouver. This is truly B.C.’s hospital, and the Millionaire Lottery is truly B.C.’s hospital lottery. For more information on the Millionaire Lottery visit www.millionairelottery.com. WE ALL NEED VGH… AND VGH NEEDS YOU!